The skull protects the delicate tissues of the brain. Your spinal column is made of 25 vertebrae and their discs, plus their supporting ligaments and tendons. Apart from providing structural support, it also houses and protects the spinal cord as it travels from the brain. 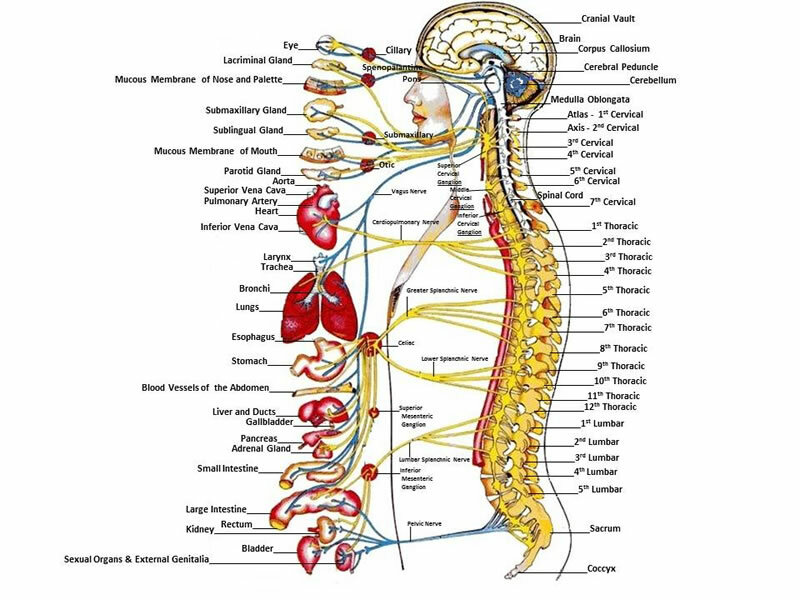 Between each vertebra various nerves branch out to every part of the body. To perform at your peak, your brain must both send and receive signals to and from your body via these exiting spinal nerves. If a vertebra is slightly displaced, interference with the spinal nerves may result. This interference often reduces your body’s ability to coordinate its functions, adapt to changing requirements and heal itself, all of which can have dramatic affects on your health, lifestyle, and lower the body's resistance to illness and pain.